Another month, another cleanser to review! Is this my fifth new cleanser now since beginning this skincare journey? It’s at least that, if not more. 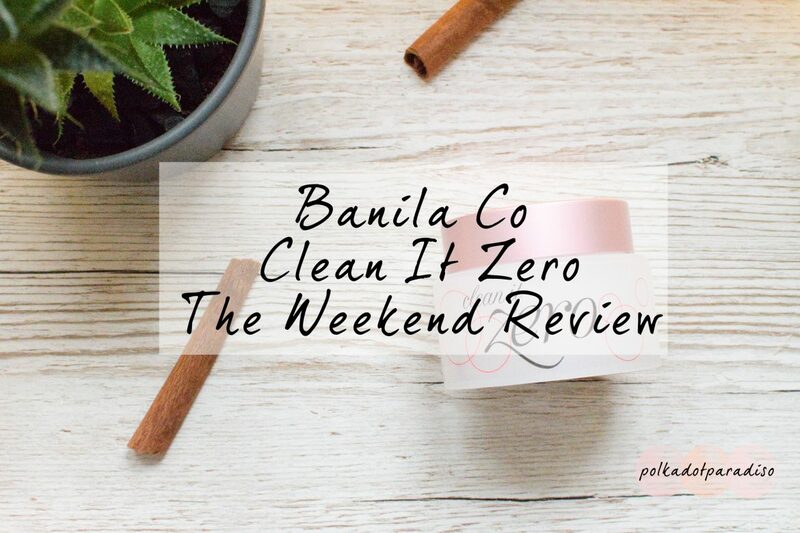 Today’s cleanser, is the Banila Co Clean It Zero and is to be used as a first cleanser. I bought this as a replacement for my Etude House cleanser. Unfortunately while I loved that cleanser I was concerned it was a cause of my recent break out as it had quite a few flags on CosDNA. I therefore found another sherbet cleanser to replace it with! This cleanser is a common recommendation and has fantastic reviews. It has one minor flag on CosDNA but after all the glowing reviews, I gave it a shot. I think I wish I’d found this before the Etude House one really. I bought this with Prime because I’m impatient. It’s just over £15 for 100ml which while a little more expensive than the Etude House offering (due to the difference in size, the Etude House is 150ml) wasn’t too much to put me off. Inside the box you receive something to check the authenticity of the product. That’s a bit of a guess as I couldn’t really work it out! You also receive a little lid and spatula. The little lid goes on underneath the main lid. It’s a great idea as finding somewhere clean to store spatulas can be annoying. However, this little lid fits so snugly on the jar that it’s an absolute pain to remove. My skincare regime already takes too much time, I don’t want to be faffing with an extra lid. Very quickly the lid and spatula wound up in the bin. I’m just too impatient. The first thing I noticed upon opening this was how it had dried up and separated from the jar. Given the kind of cleanser it was I’d kind of expect that but it’s not the best to see upon opening something. To use, you simply scoop some out and warm it up on your hands. It takes a little more effort than the Etude House to warm up, but it does get there. Once warmed up it because an oily (but not greasy) liquid. You then simply apply all over your face and wash off. This probably has one of the strongest fragrances I’ve come across. It’s a nice flowery fragrance, but if you’re sensitive to them then this may not be the cleanser for you. Once washed off my face but skin felt clean but with a little residue leftover. I definitely need my second cleanser after using this as a first cleanse. I’ve been using this for a few weeks now and I’m pretty happy with it. I do appear to be going through it quite quickly due to how tricky it can be to melt. I sometimes end up with a bit too much product and clumps of it on my hands. Aside from the slight residue (which is fixed with the second cleanse anyway) my skin feels good after using this. Soft, clean and not at all dry. While my acne is still lingering, I haven’t seen it get any worse using this. Are you using a great first cleanser? Let me know your recommendations in the comments below!